You need to use either Google Chrome or Firefox. Safari does not support screenshare. Some devices you will need to click the 'preview picture' in order to click 'share'. 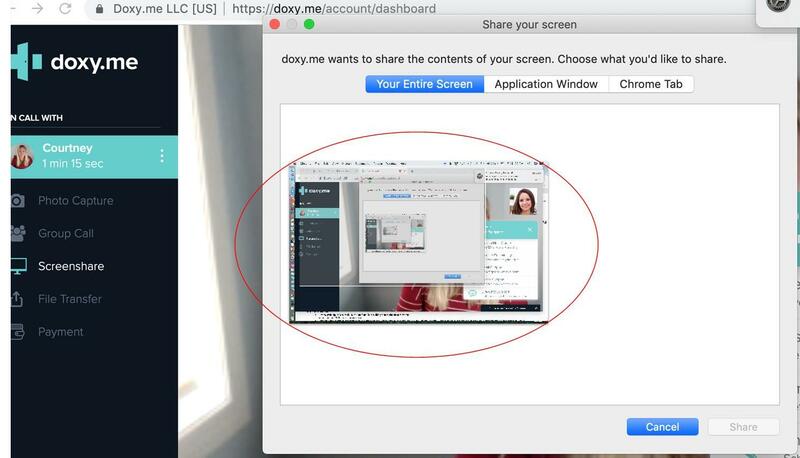 Note: Screenshare is only available to Professional or Clinic users. If you have trouble using screenshare, contact our support team.